I recently joined A10 Networks as Professional Services Engineer based in the Pacific Northwest. Of course, the first thing I looked for is how to use Python to automate configuration tasks on A10. A quick search shows that A10 has an aXAPI interface that utilizes REST Web services calls to make configuration changes. 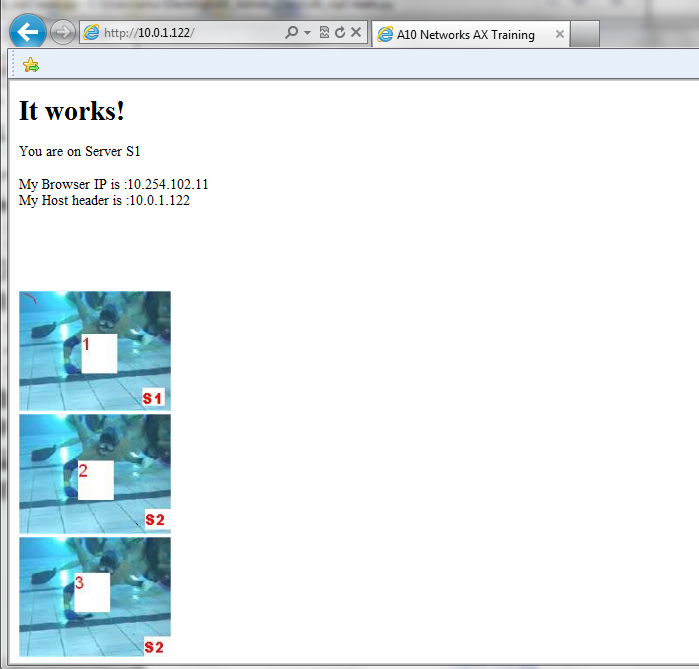 More information can be found here, http://www.a10networks.com/products/axseries-aXAPI.php. 1. Get a session ID via HTTPS call with username and password. 2. Construct your HTTPS post body in the format specified per guide (XML or JSon supported). 3. Make POST request to the device. 1. Create two real servers, s1@10.0.1.128 and s2@10.0.1.129. 2. Create a service group that binds the two real servers into a server farm. 3. Create a virtual IP that is client facing and answers to port 80. Note that I re-use the session ID because it has not timed out yet. I skip the repeated steps to create more because the only thing that is different is the HTTP body. Full script is at the end of the post. url = "https://172.31.31.121/services/rest/V2/?&session_id=" + session_id + "&format=json&method=slb.server.create"
aXAPI is pretty cool. I will probably play with it more and post my progress here. Note. As you can see, the next step to optimize would be to make the HTTP body construct a function to cut down the code. Also use multiprocess to thread would be nice too. url = "https://172.31.31.121/services/rest/V2/?&session_id=" + session_id + "&format=json&method=slb.service_group.create"
url = "https://172.31.31.121/services/rest/V2/?&session_id=" + session_id + "&format=json&method=slb.virtual_server.create"
I want to point out that user Lukasa on Reddit,http://www.reddit.com/r/Python/comments/1njuk5/python_for_network_engineers/, (probably correctly) pointed out that the code can be cut considerably by using Request (http://docs.python-requests.org/en/latest/). I will need to check it out! Thanks!